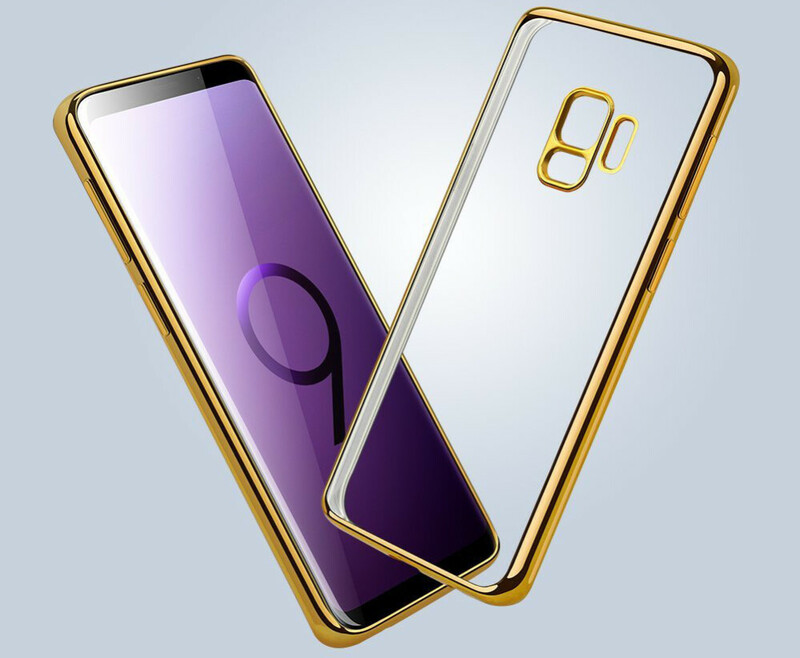 The Samsung Galaxy S9 and Galaxy S9+ are beautiful, shiny, slippery, and expensive to fix if you break one. Yeah, that glass-and-metal sandwich looks amazing, but the extra-long 18.5:9 displays mounted on a body that is sleek and smooth all around are just begging to be introduced to the pavement. 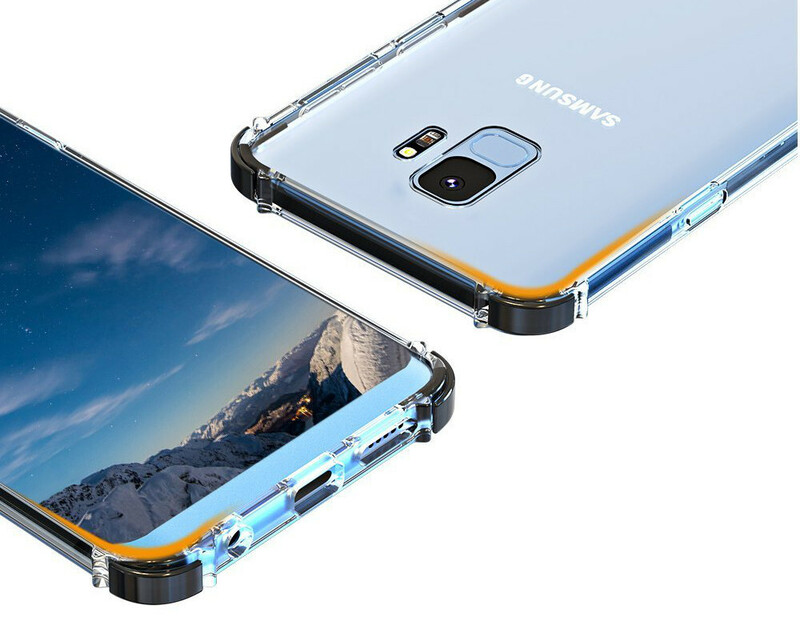 If you want to have good protection that does not fully hide the beautiful shine of your brand-new Galaxy S9 or Galaxy S9+, you might want to consider a bumper case. These usually put more emphasis on the frame and add a lip to it, but will either have a transparent back or no back at all. That way, you get to enjoy your device's premium build, but have the peace of mind of having a solid bumper around it. Starting off with the real slim models, this shell by Hallsen looks like what you might get for everyday situations, where you spend most of the time in your home, car, and office and your device is at a small risk of ever being dropped. It's a slim case with a very shiny bumper that comes in three different color variations — pick and match to taste! Still in the slim territory, we have this shell here. 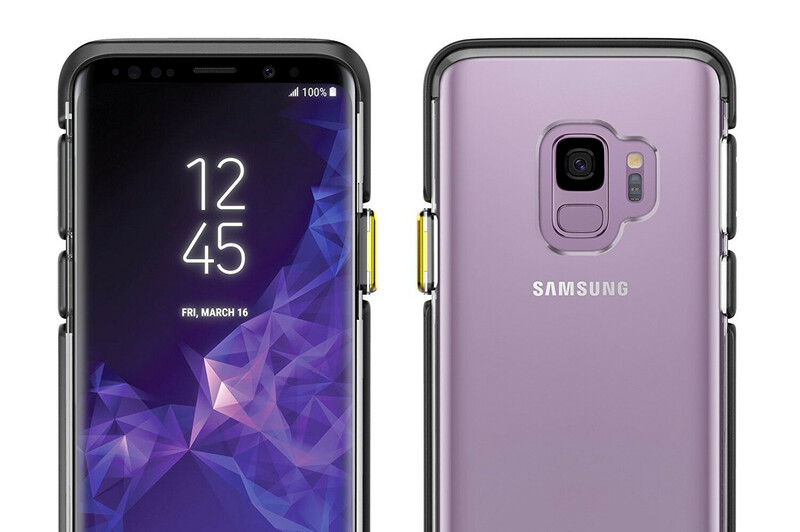 Adding some accents around the corners, it re-makes the Galaxy S9 shape in its own way and adds a cool, "I mean business"-type look without being bulky. 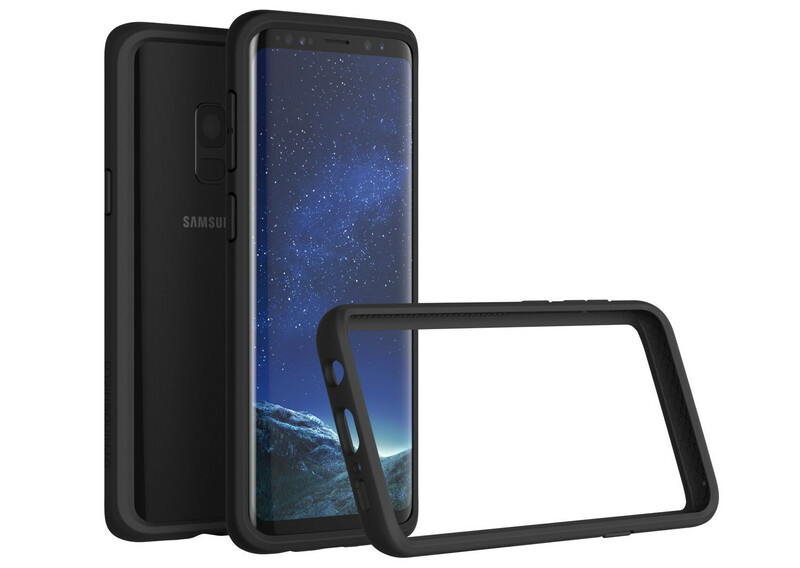 Still, we wouldn't rely on it for a hiking trip, but it's a nice day-to-day protector to keep your Galaxy S9 safe. 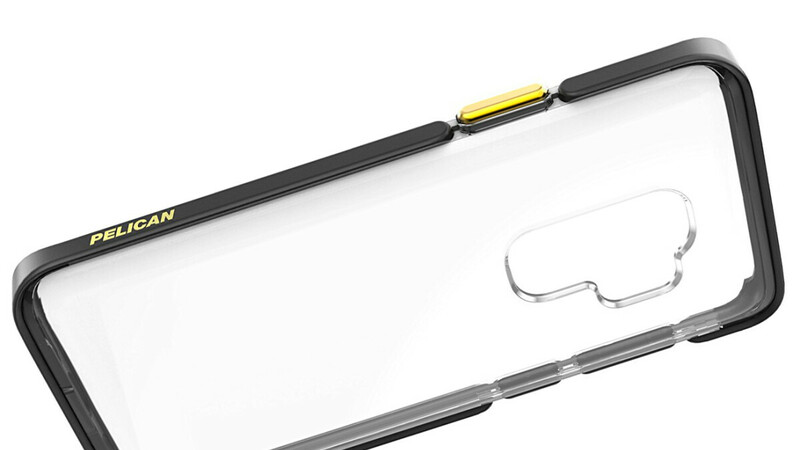 One of the very few "true" bumper cases out there — the RhinoShield here is just a frame with no back. It's thick and it has a pronounced lip so your device will make no contact with a surface if you lay it flat. But if it falls on a corner or a raised pebble, there's nothing to guard your phone from a nasty crack. So, consider it a mid-range protector that lets you see and touch your actual phone. Moving on to the slightly thicker cases, Caseology's offerings come in multiple colors and offer a good amount of adequate protection. It's a hard, shiny PC frame laid on top of a completely transparent TPU shell. So, you won't be dulling the looks of your phone, and you will be adding a good amount of protection to it, too. A cool-looking bumper case, with a minimalistic-looking frame and a transparent back. Pelican claims it has been designed to absorb shocks away from the phone and that it can survive multiple drops. Lifetime warranty included — if your Ambassador case breaks, Pelican will send you a new one. If you need complete protection from front and back, but still want your device to be visible, check out this case. 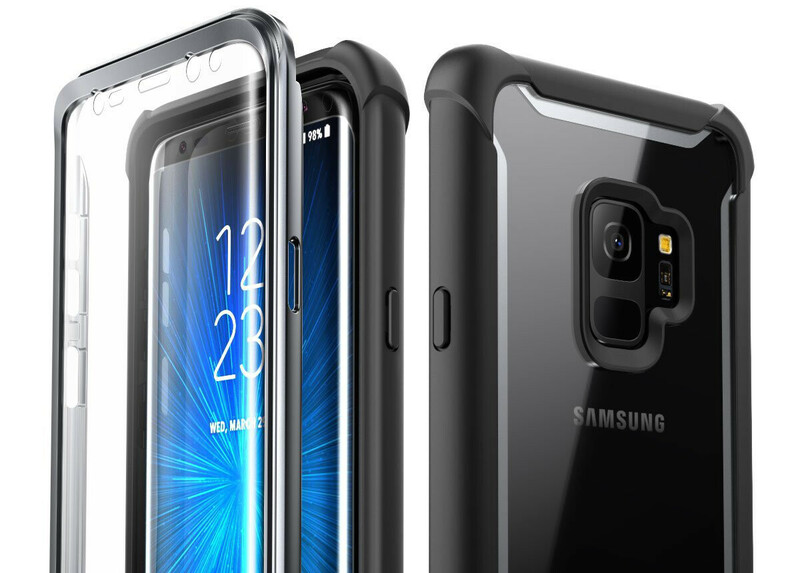 It has transparent protectors on front and back, and a thick rubber bumper to protect it from drops and crashes. The screen cover might be a bit lifted off the display, so you'd have to press in to get actual touches. So, it's probably not the best everyday case to lug around, but a good choice when going down by the beach. How are they bumpers if they have backs? Due to the fear that it get scratched, I suggest all Galaxy lovers to use protective case because it's our adorable thing. 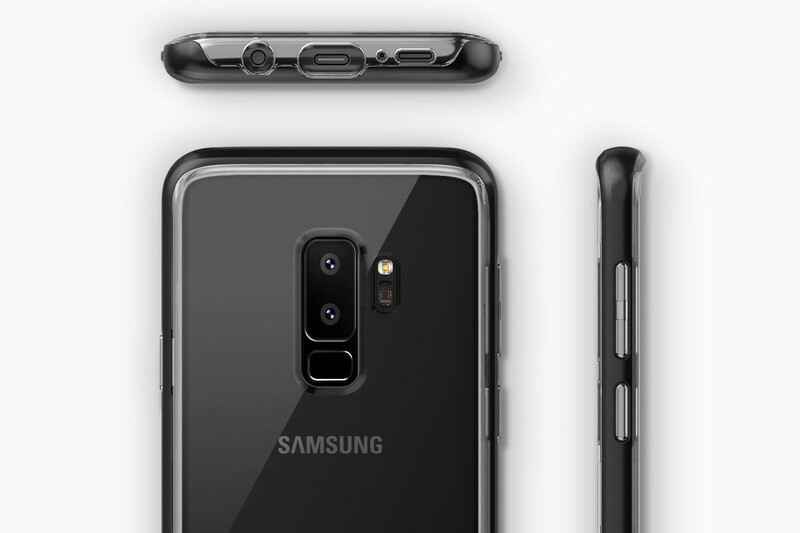 Needless to say the S9 is already gorgeous without cases, even beats all smartphones in the market right now. I have the Rhino Shield for the S9+, paired it with a Whitestone Dome tempered glassed and a 3M Dbrand skin for the back. I intentionally dropped it from a 20 foot building to concrete. After he tempered glass cracked and the 3M back skin removed, It survived no problems, no damage just to the bumper. I can confidently recommend the Rhino Shield bumper case. Just use the Dbrand skin and use the Whitestone Dome glass as its the best in class. Did I mention it feels nearly naked and slim in the hands? Say goodbye to bulky cases.